Widex is a top hearing aid manufacturing brand, with a base of operations in Denmark. They are leaders in hearing aid technology innovation and are continually looking to offer the most natural sound to the users of their hearing aids. Also, Widex is the only hearing aid manufacturer which uses wind energy to power their operations. At Hearing Associates of Las Vegas, we are proud to offer Widex hearing aids. With the wide range of styles, colors, and technologies offered by Widex, we can easily find the right hearing aids for you. The Widex EVOKE hearing aids are the newest hearing aids from Widex. They come in a variety of body styles. You can choose from 16 different colors for the Behind-The-Ear style hearing aids, and three custom colors for the In-The-Ear style hearing aids. These hearing aids can also be controlled from your smartphone. Depending on your needs, there are four different levels of Evoke hearing aids to choose from with our hearing instrument specialist’s help. Evoke 440 – The premium version of the Evoke hearing aids, the Evoke 440 will automatically adjust to your environment to allow you the most natural hearing experience possible. 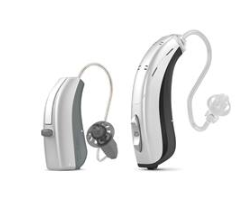 These hearing aids offer the highest level of speech clarity. Evoke 330 – As the advanced version of the Evoke hearing aids, the Evoke 330 can automatically adapt to seven different listening categories. This adaptability will help you retain high sound clarity. The Evoke 330 is often recommended for those with active lifestyles. Evoke 220 – For the standard version of the Evoke hearing aids, the Evoke 220 can automatically adapt to 4 different listening environments. You can tailor these programs and have your changes saved for future situations. Evoke 110 – This level of Evoke hearing aids is the most affordable of the Evoke series. They offer 3 different automatic listening environment adjustments, helps amplify soft speech and sounds. However, we want to note that the Fusion2 body style of hearing aids is unavailable at this hearing aid level. A variation on the Widex UNIQUE hearing aids, the Widex CUSTOM hearing aids offer discreet sizing and new fitting options. A greater sound area is being offered with these hearing aids, allowing you to hear more of what is going on around you. They have easy volume and program controls, or you can choose the fully automatic CUSTOM hearing aids. There are three different colors available. When you use Widex BEYOND hearing aids, you should use the BEYOND app to make the best use of these hearing aids. This app will allow you to continually adjust your hearing aids to suit whatever environment you are in. Also, like the Widex EVOKE hearing aids, the Widex BEYOND hearing aids can use the Widex tinnitus treatment program Widex Zen Therapy. There are ten different colors available. If you are interested in rechargeable hearing aids and already own BEYOND hearing aids, you can have them retrofitted to become rechargeable. Essentially, the Widex BEYOND Z hearing aids as the same as the BEYOND hearing aids with their ability to sync with the BEYOND app and Zen Therapy. 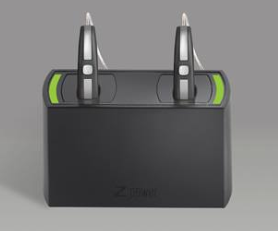 However, unlike any other Widex hearing aid, BEYOND Z hearing aids are rechargeable. Also, there are 15 different color options. The Widex UNIQUE hearing aids require different accessories to do many of the things that the above hearing aids can do. There are 18 different colors available, though they may not be compatible with all style of UNIQUE hearing aids. They also have four different quality levels. UNIQUE 440 – The premium UNIQUE hearing aids, the UNIQUE 440 has 15 processing and fine-tuning channels to improve the sound you receive. It also has high-frequency boosting available, soft level noise reduction, wind noise dampening, and speech enhancement. UNIQUE 330 – As the advanced version, the UNIQUE 330 has 10 processing and fine-tuning channels for sound improvement, soft level noise reduction, and speech enhancement. UNIQUE 220 – The standard UNIQUE 220 has 6 processing and fine-tuning channels, and soft level noise reduction. UNIQUE 110 – With the basic UNIQUE 110 has 4 processing and fine-tuning channels, front focus hearing mode, and soft level noise reduction. For those who have become accustomed to the sometimes tinny sound of other hearing aids will love the Widex DREAM hearing aids. Holding to the Widex vision of natural-sounding hearing aids, the DREAM hearing aids offer a wide sound profile, allowing you to hear with greater clarity. 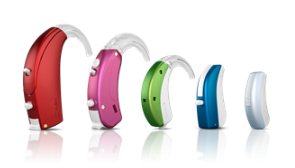 There are five different styles of hearing aids provided in the DREAM hearing aid series and 14 colors available. For those with severe to profound hearing loss, the Widex SUPER hearing aids can help. These hearing aids come with powerful amplification abilities and the ability to hear sounds behind you as well as in front of you. These hearing aids can also compress and bring high-pitched sounds down in frequency so you can hear more clearly. There are seven different colors available. 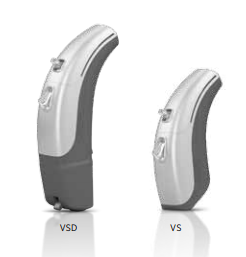 Like other Widex hearing aids, the SUPER hearing aids have different levels of power. The SUPER 440 hearing aids can excel in all listening situations. However, the SUPER 220 hearing aids tend to fall short at social events, restaurants, in the car, movies, concerts, on the phone, meetings, and outdoors. Hearing loss does not always occur evenly. For those who suffer from hearing loss in one ear and deafness in the other or those who have normal hearing in one ear and deaf in the other ear, the Widex CROS can help. 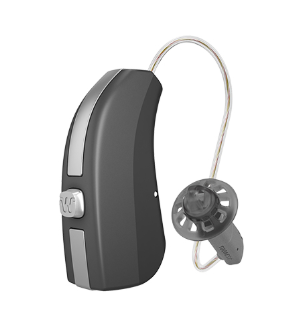 These hearing aids can capture sound from the deaf side and transmit it to the person’s hearing side, allowing them to eliminate the head shadow effect. You can also find the CROS technology among the Widex DREAM hearing aids. Widex offers an array of hearing aids for all ages with their extensive PEDIATRICS series. Some of the hearing aid models come from the BEYOND and UNIQUE hearing aids lines, but Widex also has a BABY series of hearing aids. To assist with proper development, it is vital that young children have the best possible hearing. So, if you have a young child struggling with hearing loss, you may want to talk to our hearing instrument specialists about the Widex PEDIATRICS hearing aids. If you own any of the older Widex hearing aid models, our hearing specialists can also help you, either with their repair or help you choose a new model. Because, no matter if you struggle with tinnitus, profound hearing loss, or other hearing issues, our hearing specialists can find you the right hearing aids for your needs.